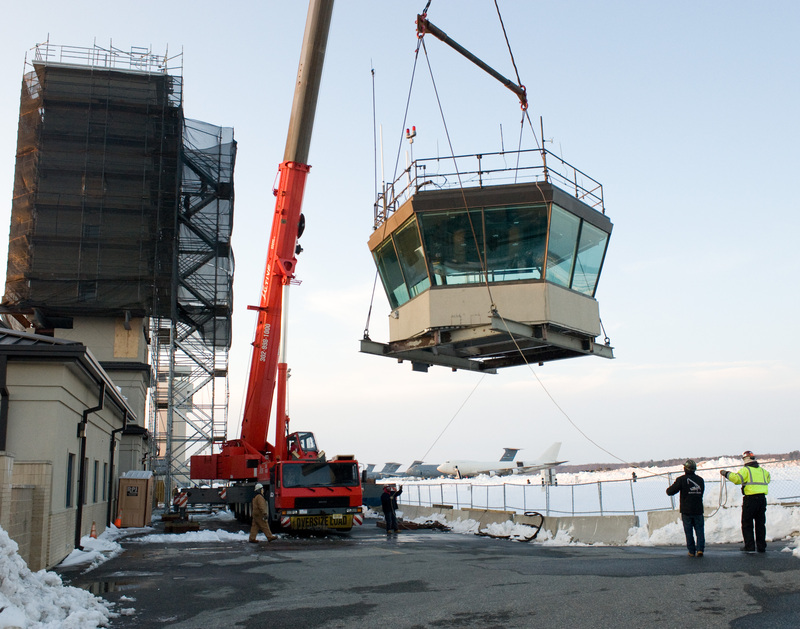 The AMC Museum’s control tower cab is the actual unit used at Dover AFB from 1956 until 2009. 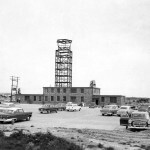 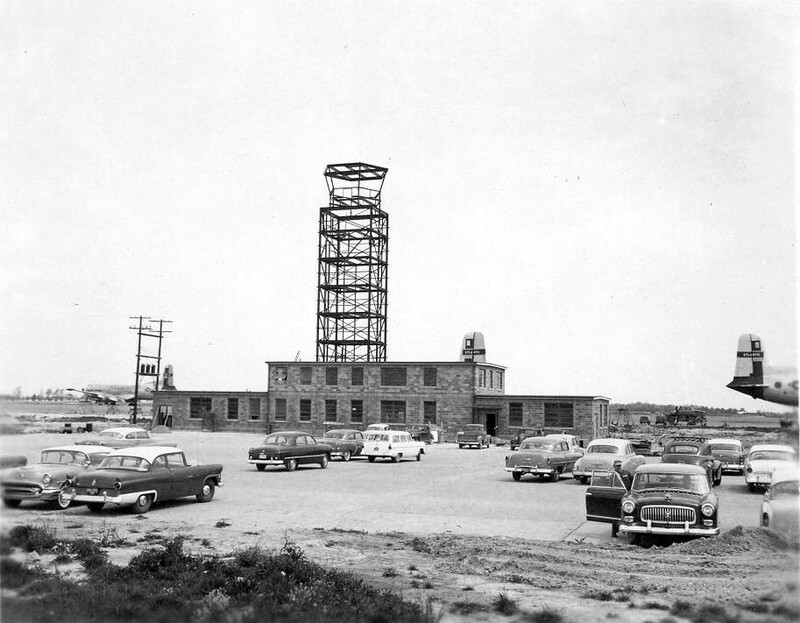 Its original location was close to the base’s new tower. 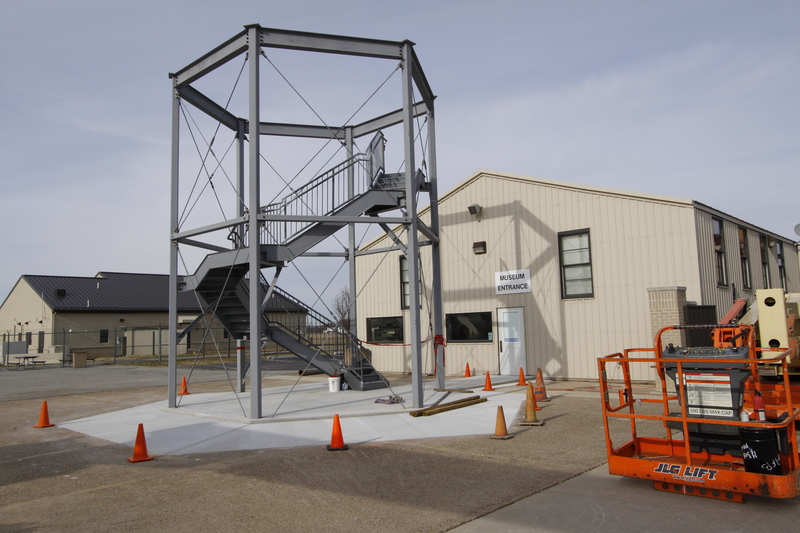 The exhibit tower is 39 feet tall. 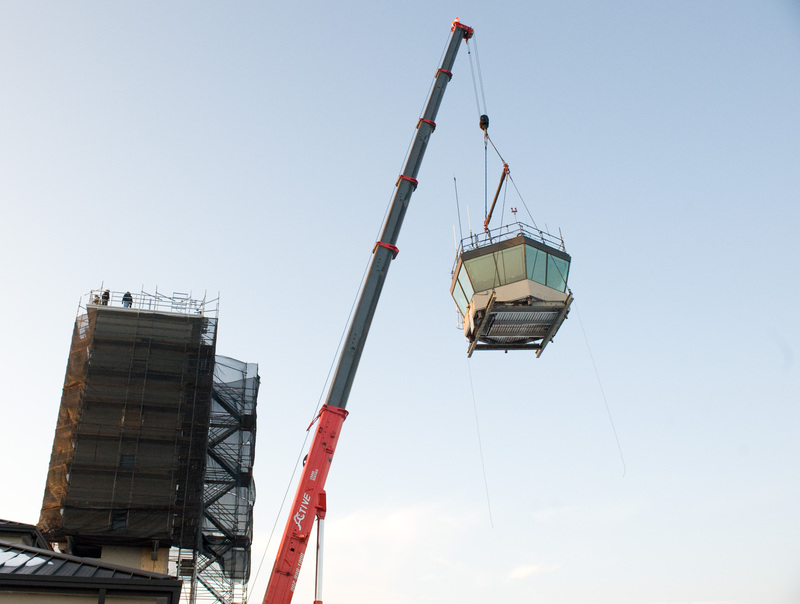 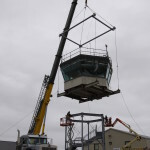 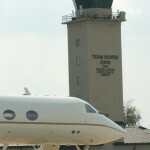 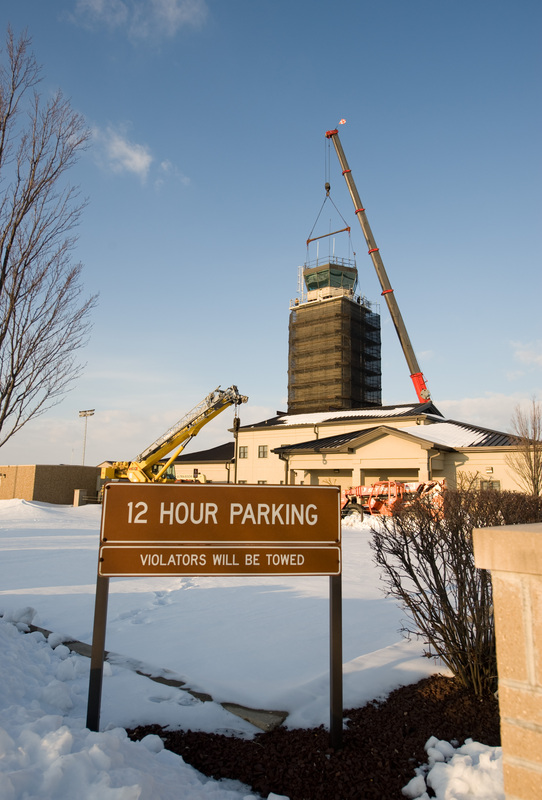 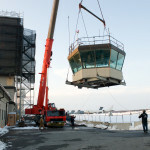 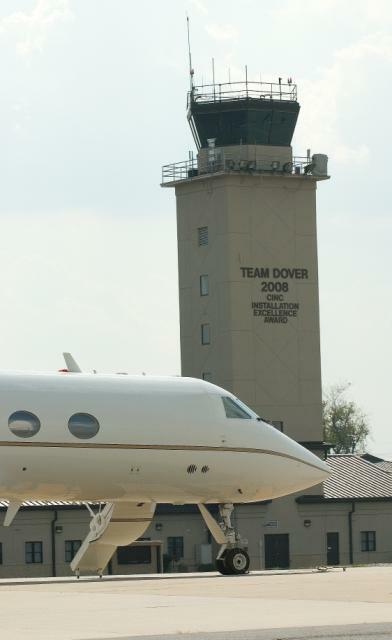 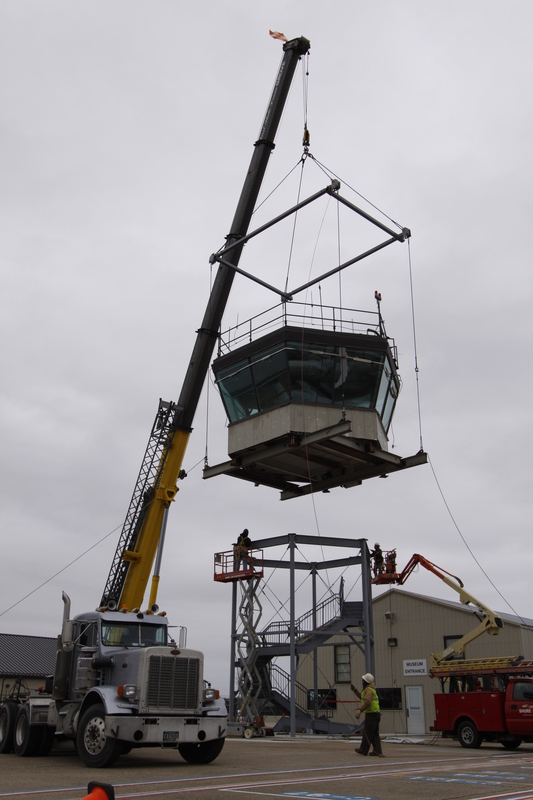 The original control tower was 103 feet tall and the new control tower is 128 feet tall. 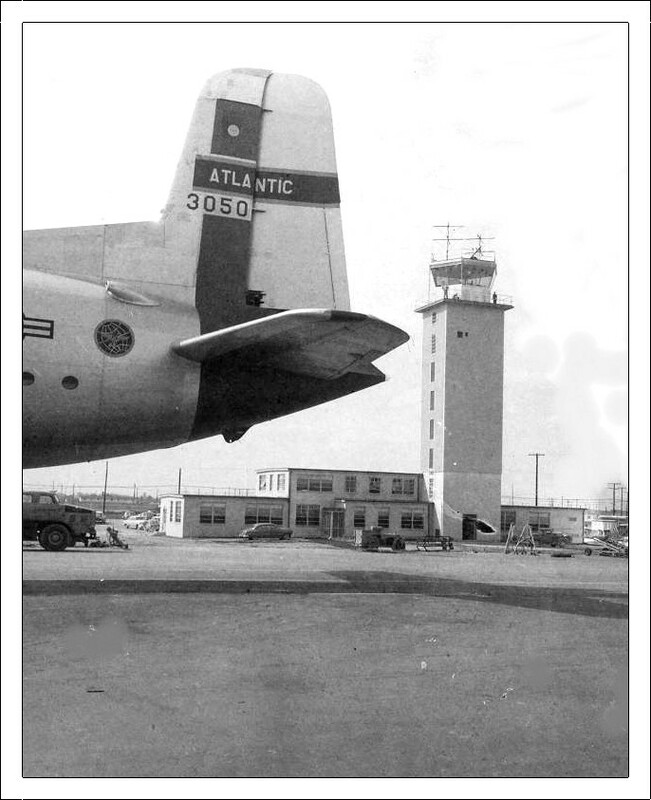 The original tower was in service for over 50 years spanning the era of the propeller-driven C-54 Skymaster cargo plane to the jet-age C-17 Globemaster III. 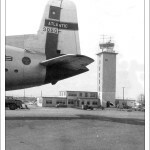 In the base of the exhibit tower and upstairs in the cab, you can hear live radio chatter broadcast from the current Dover AFB tower. 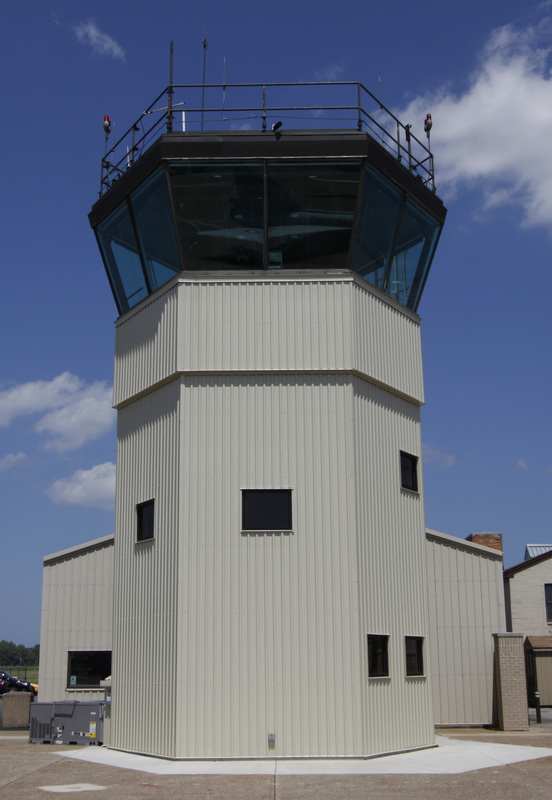 The cab is also a great place to see the museum’s planes and to watch arrivals and departures on the base’s runways and taxiways. 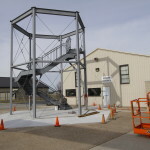 Nice addition to the museum!